Nobody likes navigating multiple contracts, companies, partners, and payments. It’s frustrating when you don’t know who to contact for support. Instead of having all of your information scattered in different places with different people, you can now consolidate all your needs in one place, with PowerObjects as your Cloud Solution Provider (CSP). Eliminate all the hassle with a new solution that bundles your Dynamics 365 licenses, solution, support, education, and more—all with the #1 Dynamics 365 Partner for Dynamics 365 in the world. 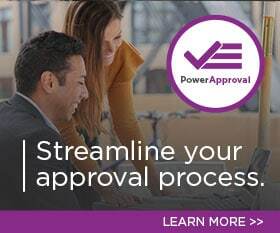 No matter where you are in your Dynamics 365 journey – whether you have bought your licenses or are looking to buy them, with Microsoft Cloud by PowerObjects you will get more out of your investment. A partnership with PowerObjects means you will always have access to a dedicated team who gets you, your needs, and your solution. PowerObjects will be able to manage all of your Dynamics 365 needs, and can deliver, manage, and support your Microsoft Cloud subscriptions. From service, to support, to billing – your Microsoft Cloud solutions are taken care of by PowerObjects. Special pricing available for small and medium sized businesses with under 25 users! This is a license model subscription. Recommended for: Experienced CRM users who need minimal support or organizations that already have an IT infrastructure in place. This is a support model subscription. Recommended for: Organizations and users that manage their own CRM administration but need some extra help on the support side. This is a consulting model subscription. Recommended for: Organizations and users who are seeking a new implementation or who have an existing system they wish to improve with demanding support needs. Get incredible value by partnering with the #1 Microsoft Dynamics 365 partner in the world! Connect with a subscription adviser for a no-pressure, commitment-free conversation.